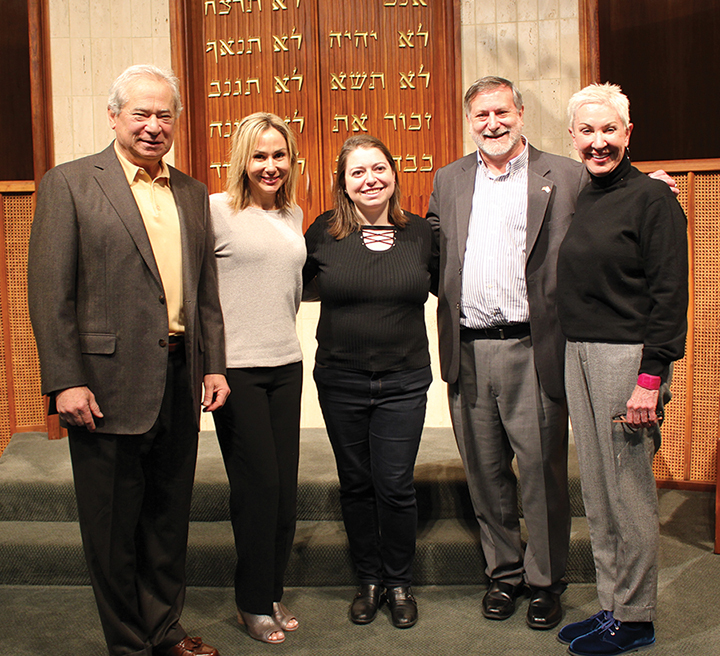 Rabbi Scott Kramer of Agudath Israel-Etz Ahayem stepped to the podium at Temple Beth Or on Jan. 28 with a bit of an apology. “This event is only 49 percent of what it should have been,” because he did not have his colleague and friend, Rabbi Elliot Stevens, to consult with. Stevens died on June 21 after a battle with pancreatic cancer. He was 69, and had been leading Beth Or for 10 years. Kramer and Stevens arrived in Montgomery a week apart in the summer of 2007. For each, it was his first pulpit, though they were at different parts of their careers. Kramer was just out of rabbinical school, but Stevens was looking for a change of pace after spending the previous 32 years at the Central Conference of American Rabbis in New York. Stevens was associate executive vice president, overseeing the CCAR publications program, including the Mishkan Tefilah prayerbook now used in Reform congregations. He was also involved in deliberations over numerous thorny issues, including patrilineal descent and rabbinic involvement in interfaith wedding ceremonies. With that idea, “we entered into a conspiracy to change the status quo,” starting by combining the Confirmation class, though they held separate ceremonies at the end of the year. Then, they suggested combining the entire schools, alternating between the buildings, based on the Confirmation success. “It worked, and worked perfectly,” Kramer said, and was exactly what they envisioned. They also started a joint service project, the Shabbat Box, decorated by the students and containing challah, grape juice, tea lights and other items for Shabbat. The boxes are given to Jewish patients who are hospitalized over Shabbat. Another joint initiative is the combined Purim service for the congregations, which was just held for the third time. Beth Or President John Ives said that three days after Stevens died, Agudath Israel-Etz Ahayem President Joy Blondheim called and asked for a meeting, where she told him that her congregation wanted to rename the school after Stevens. “I was admittedly awed by this expression and readily agreed even before presenting this to the board” of Beth Or, he said. In recent years, there have been discussions exploring a merger between the Conservative and Reform congregations, but there has not been an agreement to merge. Nathan McKinney was supposed to give a remembrance from a student’s point of view, but had the flu. His father, Jeff, delivered his remarks, saying his son reported that “If I could really write everything, it would be a book.” Current students demonstrated Hebrew yoga. Kol Ami co-principals Kerry Bleiberg and Elana Hagler took part in the presentation of plaques that will be placed at each institution.